Both sexes fully winged. 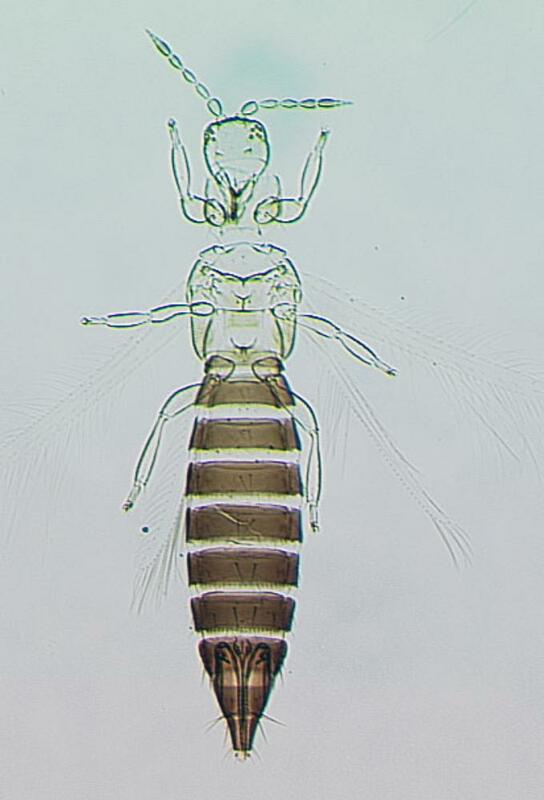 Female with head, thorax and legs yellow, abdomen brown, fore wing pale. 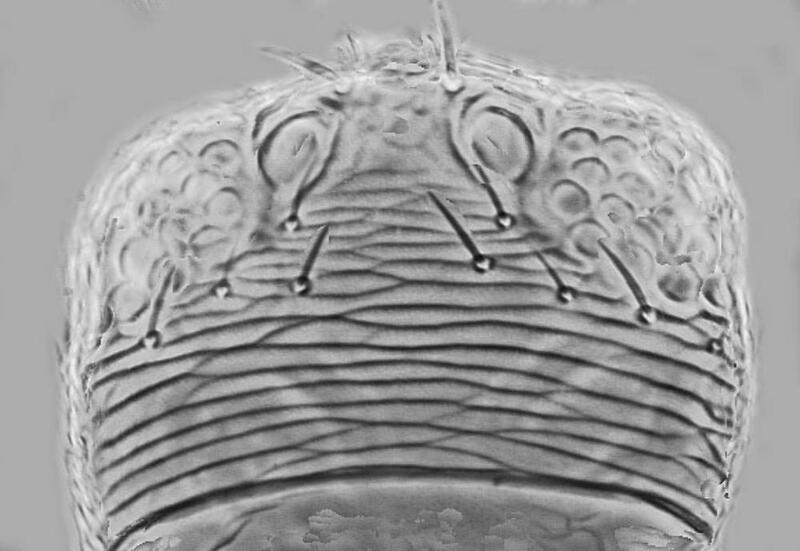 Head with three pairs of ocellar setae, pair III on anterior margins of triangle; compound eyes with six pigmented ommatidia; five pairs of prominent postocular setae in two rows. Antennae 9-segmented; sensorium simple on III, forked on IV. 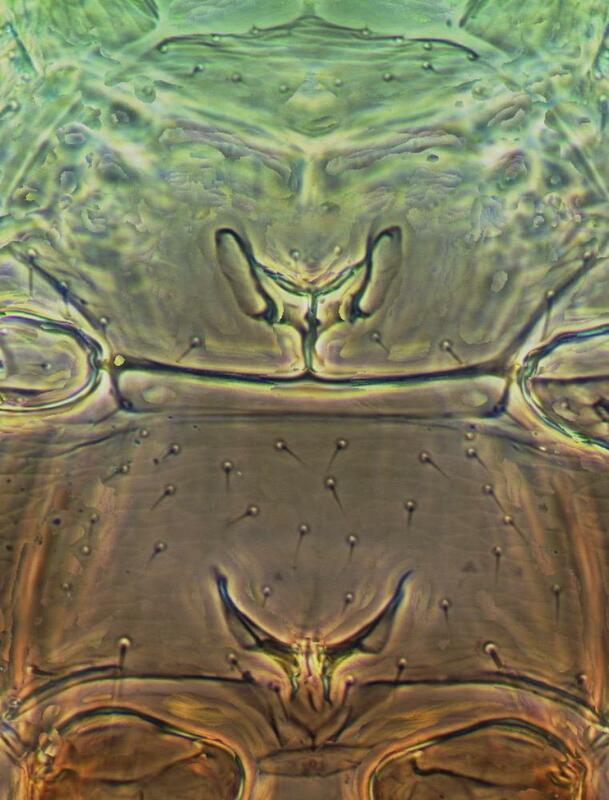 Pronotum with numerous discal setae, one pair of long posteroangular setae. Metanotum reticulate, median setae close to anterior margin; campaniform sensilla absent. Fore wing relatively broad, first vein setal row incomplete distally, second vein with complete row of setae, posteromarginal cilia straight. Abdominal tergites with transverse reticulation; tergites II–VII with prominent lobed craspedum, toothed laterally, also medially on posterior tergites; VIII with comb of long microtrichia; median setae on II–VIII longer than distance between their bases. 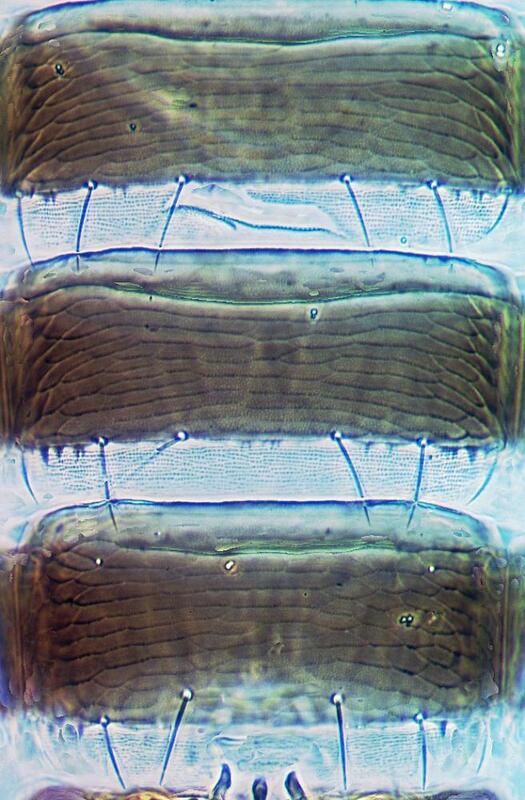 Sternites with no discal setae. Male smaller than female, yellow with terminal abdominal segments brown. 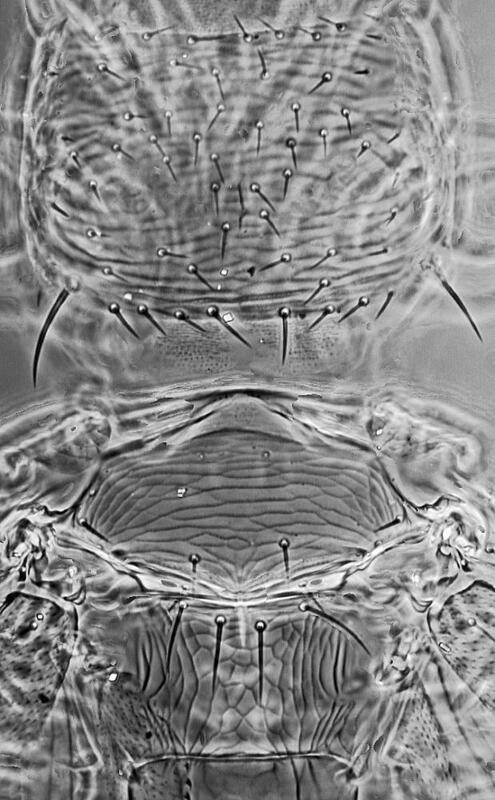 The genus Odontanaphothrips includes only one species. 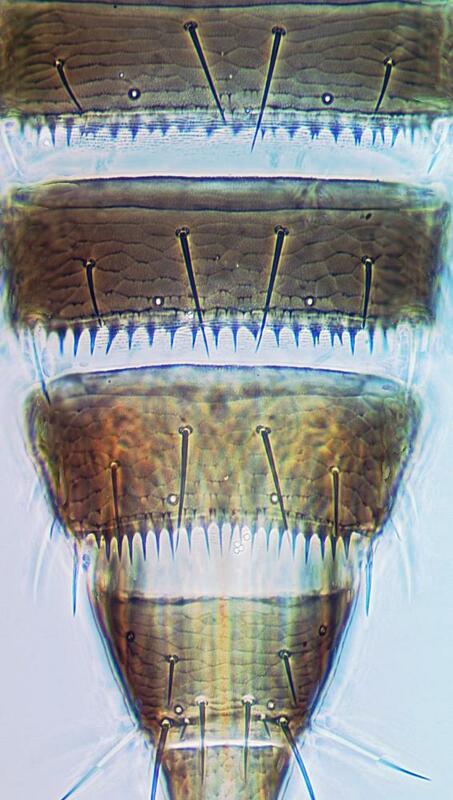 This is a particularly unusual member of the Thripinae, with a pair of long median setae on the tergites, and a distinctively toothed craspedum on each tergite. Bailey (1957) states that this species is found in large numbers in Californian desert areas in late summer and fall.